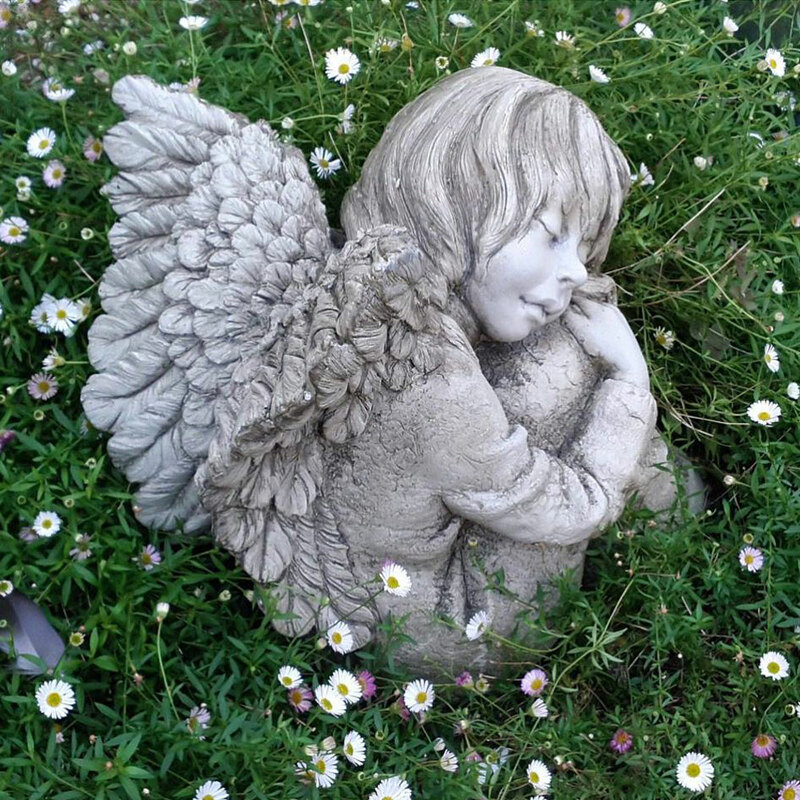 Pheebert's Stone Garden Ornament - Angelina Angel Sculpture provides a simply irresistible high-quality garden feature, hand made using a special mix of aggregate which is frost proof, but still ensuring a high quality detailed finish. English cast stone hand-finished with a patina to resemble antique stone, an effect that is enhanced by time and the weather. THIS beautiful angel will gladden the heart of anyone lucky enough to find her sleeping in a quiet corner of their garden. Pheebert's garden statuary carries a small, pewter Pheebert’s seal of authenticity near the base to show that it’s genuine.